All you want to know about Birman cats and kittens. 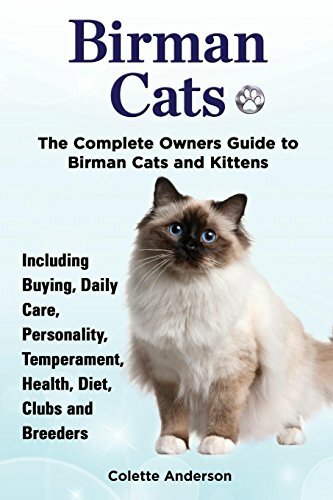 This superb resource gives answers to all your questions and is a must have for anybody passionate about Birman Cats. This guide covers all aspects of caring for your pet, including what to consider before buying, daily care, personality, health, temperament, diet, clubs, breeders, the equipment you need, along with your responsibilities as an owner. Colette Anderson has many years of experience of owning and breeding cats, and passes on her knowledge in an informative and easy to read style. The book has plenty of sound advice and answers to your questions - including some you didn't know you had! If you have any questions about this product by EKL Publications, contact us by completing and submitting the form below. If you are looking for a specif part number, please include it with your message.